Top 20 Pretoria Activities 2017. Pretoria, or Tshwane as it’s called by some, is South Africa’s beautiful Jacaranda City. Aside from being our administrative capital in South Africa, it’s a city of great fun and adventure, blended together with a healthy dose of history and timeless grandeur. 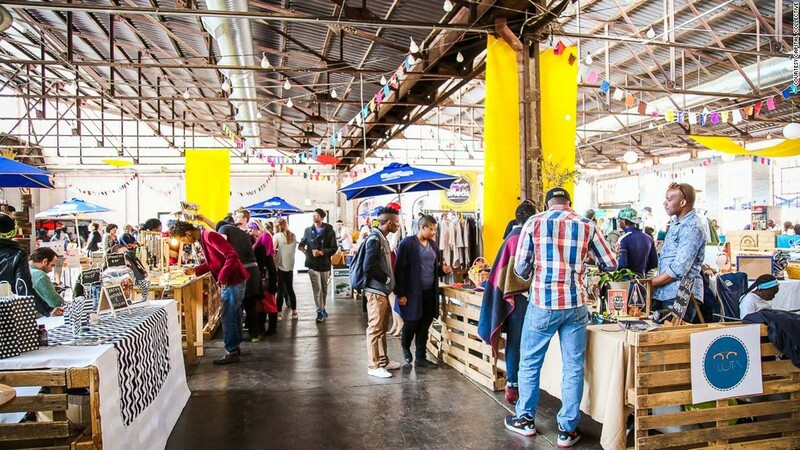 If you’re after great food, art and design and above all, people, then this inner city market is just for you. Head to the market to experience Pretoria’s true colours. Taking place (usually) on the last Saturday of every month – except when it changes to accommodate holidays and long weekends – the Market at the Sheds offers awesome socialness, quirky shopping, live music and a wide assortment of gourmet street food and drinks, including craft beer, cocktails and fine wines. On the music front, you can enjoy everything from blues to Afro-soul. Situated in the northern part of the city, straddling the Magaliesberg Mountains, Wonderboom Nature Reserve is a wonderful, 200-hectare reserve, famous for its giant wild fig, known as ‘Wonderboom’. The tree is over a thousand years old and legend has it, that it grows over the final resting place of an indigenous tribe’s chieftain. Although the tree has reduced somewhat in size over the years, it has provided new growth, ensuring a circle of surrounding trees. The reserve is also home to some adorable rock hyraxes (or dassies), which sadly feed the nearby black eagles who circle the reserve. Explore the mini forest with the interpretation trail and lovely boardwalk and then enjoy a picnic at the reserve’s good facilities. Immerse yourself in a world of individual treasures at Duncan Yard. It’s a place that allows you to be yourself as you enjoy an art-meets-culture experience. Duncan Yard offers a host of shops and facilities, like Beautiful Beginnings Salon, Cherryamber, Hidden Jewel, Papas – Real Food and many more. It allows shoppers to enjoy both creative shopping and delicious eats in a unique environment. 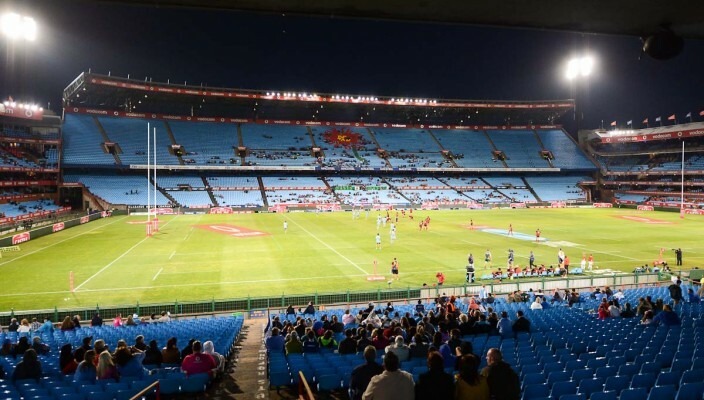 Although it is the home ground for the Blue Bulls rugby franchise, this stadium has hosted many important matches, including the one between England and South Africa on 4 June 1994. It has also successfully hosted games during 1995 Rugby World Cup and again, for the 2010 FIFA World Cup, carefully joining the world of South African rugby and soccer. Loftus is named after Robert Owen Loftus Versfeld, local founder of organised sport in the Pretoria area. Although it started out as a humble ground, today, it can easily seat about 50,000 people. So head to the heart of local rugby and enjoy a wonderful local or international match at this historic ground. This indoor rock climbing gym and training facility in Pretoria East is ideal for you, whether you’re a beginner or an expert climber. Here, there is personalised training on offer, and it’s also a great venue for hosting birthdays and corporate team building exercises. As well as providing some excellent 450m and 100m walks, there is also gear available for hire and purchase at the Climbing Barn. Learn to climb or test your skills in a relaxed environment, with professional, qualified staff on-hand to assist where and when necessary. With a long history, this reserve has seen many changes over the years but, in 1994, it became the Department of Nature Conservation’s baby and they slowly but surely began to release game, like kudu, blue wildebeest, ostrich and even giraffe back into the reserve. Outside of the amazing game and rich bird life, Groenkloof offers a host of wonderful nature activities. These include: hiking and horse trails, mountain biking, picnicking and more. There are also overnight facilities (which you can book via email) and a Bamber Youth Camp. Lose yourself in a world of beauty and untouched fauna and flora at Groenkloof Nature Reserve. This foodie market takes place every Saturday, from 8am – 2pm, in Menlo Park. It’s well-loved for its delicious food and drinks, as well as for its harmonious atmosphere, which allows both parents and children to relax and enjoy themselves on a fun, family day out. Here, you will find some of Pretoria’s finest fresh products, sold straight from the producers, at this authentic food market in the heart of Pretoria’s Old East. There are benches scattered around and an awesome jungle gym and jumping castle to make use of, too. Found outside of the city centre, this 3800-hectare reserve surrounds the beautiful Rietvlei Dam, which provides some 15% of Pretoria’s population with water. The reserve is home to endangered Bankenveld grassland and some 2000-odd animals, which include: cheetah, buffalo, white rhino and a host of buck species to name just a few. There is also great bird life here, which can be enjoyed at the two reserve’s two dams in particular. Visitors can enjoy freshwater fishing, non-motorised water sports, as well as two-day hiking trips, horse trails and guided game drives (although visitors must provide their own vehicles and advance booking is essential). You can also camp overnight in the park at the Rietvlei campsite (advance bookings are a must though). Only one of nine South African National Botanical Gardens, Pretoria Botanical Gardens are a 76-hectare oasis of beauty and natural flora. The Garden is divided into two sections by a 35-metre high quartzite outcrop, although a paved nature trail provides easy access to both varied sections. You will find many plants exclusive to South Africa, as well as an amazing wealth of flowering plant and tree species respectively. It makes for an engaging day out, particularly for nature lovers. Amid the foothills of the Moreleta Kloof, one finds an exquisite natural gem in Moreleta Kloof Nature Reserve. This 100-hectare reserve is home to various game, including springbok, zebra, blesnok, duiker and ostrich, as well as an abundance of birdlife. Walking routes have been clearly marked out. Routes vary in length from 1.5 to 3.6km. The reserve is open daily and entry is free of charge but dogs and bikes are not allowed. This awesome adventure centre in Pretoria North allows visitors to slide, balance, crawl and dash, as they experience the thrill of tackling obstacles, found high up in the treetops. Acrobranch is also a wonderful venue to enjoy birthdays, school trips and even team building exercises, as it provides you with epic aerial adventure. It offers safe adventure for all ages, with internationally-imported equipment and harnesses to keep participants safe and sound during their fun fest. One of South Africa’s most important and recognisable heritage landmarks, the Union Buildings were designed by Sir Herbert Baker in 1910 to commemorate the Union of South Africa. The 285-metre-long sandstone building offers amazing gardens and panoramic gardens and has consistently served as the background to many pivotal occasions in South Africa. Although visitors cannot enter the buildings themselves, they are free to explore the terraced gardens, which offer wonderful views out over the city. They’re the perfect place for a picnic or wedding photo shoot and also offer a venue for local concerts and festivals. 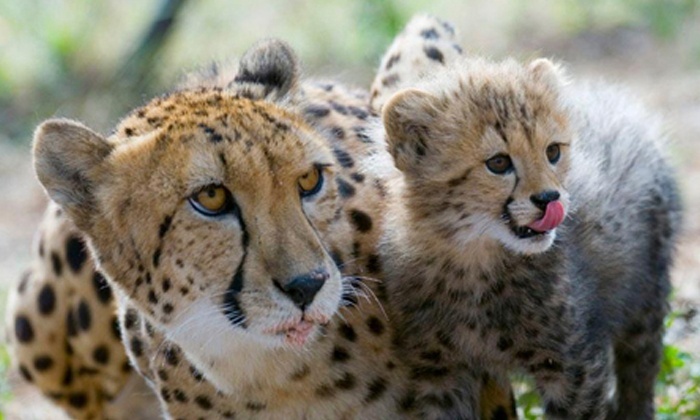 Established in 1971, this wonderful conservation project performs a vital role in both the conservation and protection of cheetahs. To date, it has bred over 800 cubs, and that tally is still climbing. Visitors can enjoy educational tours around the centre. These include three-hour guided or private tours, as well as the popular feeding tour. This involves an informational and educational round trip, as the team feed the resident cheetahs, wild dogs and other animals. This 85-hectare zoo is not only the largest in our country but it’s also the only one with national status. It is home to some 3117 specimens, made up of mammals, birds, fish, reptile and others. Over 600,000 people visit this zoo annually and the length of its excellent walkways is 6km in distance. The zoo is also home to an aquarium, which is the largest inland marine aquarium in SA, and a reptile park. Celebrating South Africa’s heritage, Freedom Park is a centre of knowledge, which strives to tell South Africa’s story as accurately and well as possible. This national and international site celebrates liberty, diversity and human rights, serving as a cultural institution. It houses a museum and memorial and provides wonderful insight into our country. If you would like to book a tour, you can email or fill out the online booking form. So-called Randlords Sammy Marks built up his wealth through great business enterprises over the years. 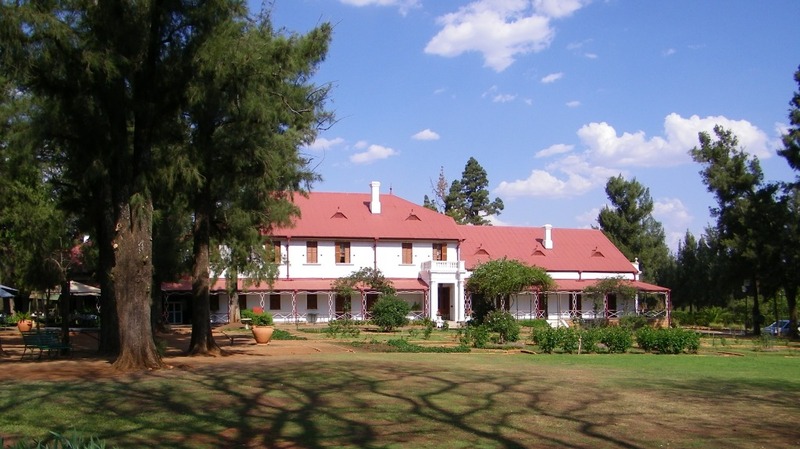 This resulted in Zwartkoppies Hall, which, in his will, his declared should be preserved and turned into a museum. Today visitors can pay to enjoy seeing the wealth and splendour of the mansion’s 48 rooms. Highlights include the billiards room, huge kitchen, well-stocked library and much more. The vast gardens are also a delight, with guided tours available of the house and surrounding estate. This family lodge offers both horse riding safaris in the African bush, as well as amazing lion tours and other holiday fun! Visitors can choose to go on a horse ride safari or else, join in on a morning or afternoon lion tour. Observe lions in their natural habitat or saddle up and navigate your way through the bush with this dedicated, capable horse riding family. This small zoo in the heart of Pretoria East suburbia is a family-run zoo, which focusses on the community and its families. Currently they are renovating the zoo to improve the cages so while, you can still visit, some cages will be empty… the good news is, kids can explore these and see life through the bird’s eye view. Offering all kinds of delights, this antique hay barn looks out over expansive fields, grasslands and the Kaal River. 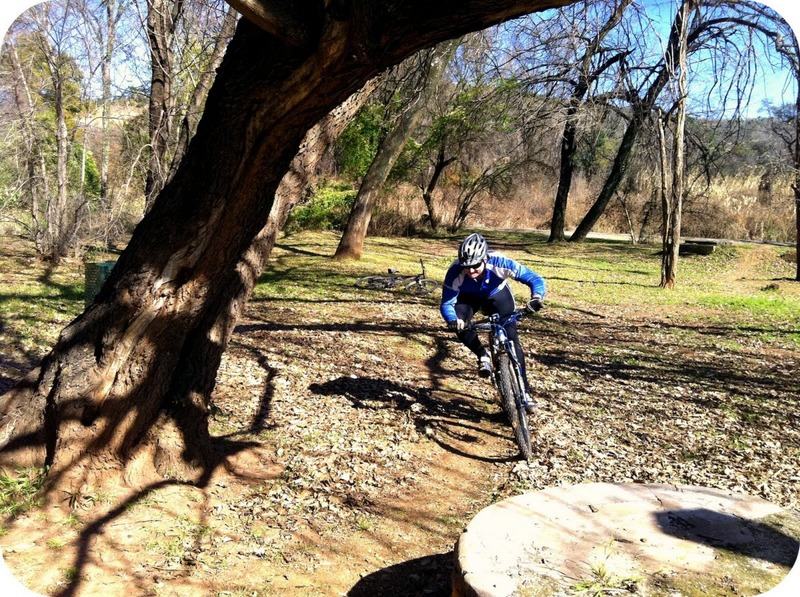 There is a lot of fun to be had here, with the Cycle Park, Acrobranch and Olifants Café just some of the main highlights to be enjoyed. Olifants Café serves delicious countryside eats, perfect for curing post-exercise hunger pangs. Enjoy a fun day out for the whole family that this cool spot. Situated in a beautiful farmland, this charming, family-run coffee shop works closely with The Waldorf School to both educate and grow the minds of children and maintain organic farming practices too. They offer delicious breakfasts, scones, cakes, light meals and even morning, afternoon or evening high teas. They are able to host beautiful functions, like birthday parties and farm weddings. These are just a few of so many wonderful reasons to visit Pretoria and enjoy all it has to offer! Author LaurenPosted on August 31, 2017 August 31, 2017 Categories The best of South AfricaTags Ann van Dyk Cheetah Centre, Duncan Yard, Market @ the Sheds, Pretoria, Pretoria activities, Rosemary Hill, Sammy Marks House, South Africa, The Big Red Barn, Wonderboom Nature ReserveLeave a comment on Top 20 Pretoria Activities 2017. Top 20 Pretoria Restaurants 2017. Fronted up by SA’s chef-of-the-year, the award-winning Chantel Dartnall, Restaurant Mosaic needs little introduction. Even before chef Dartnell raked in the accolades, this restaurant at the Orient was known for its modern, chic fine dining, creative dishes and Belle Epoque-style interiors. Dishes here are inspired by fresh, seasonal produce and European roots, ensuring a culinary adventure worthy of all the shining reviews and ratings Restaurant Mosaic receives. 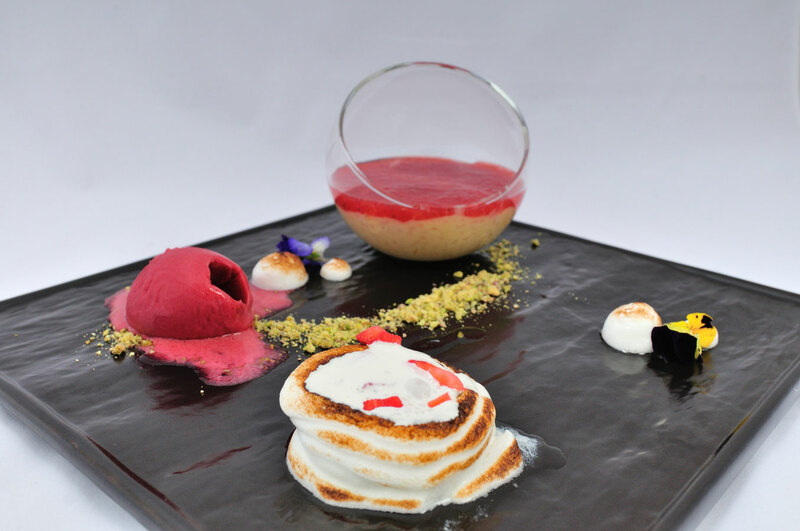 Pachas incorporates local and international flavours and dishes, providing its guests with a global food experience. Offering a menu with favourites like Duck Fuji or Gemsbok Schnitzel – at Pachas, the chefs work daily to create new and exciting specialities, which’ll leave you drooling! Pachas has proven it’s a Pretoria restaurant institution, as customers consistently return for more. It also offers private venue options for special occasions, but you’ll definitely need to book ahead for those! This stylish, trendy and above all, upmarket restaurant in Brooklyn strives to provide not only great food, but excellent service as well. To complement its glam, suave interiors, Kream offers everything from fresh sushi to grill specialities. It also possesses an enviable drinks list, which includes: top wines, cognac and rare whisky and brandy too. As an added bonus, Kream also has a sister restaurant in the Mall of Africa, Midrand. This international fusion cuisine eatery offers global cuisine, enhanced by local South African flavours. Established in 1995, La Pentola draws its culinary inspiration from rich Mediterranean, French and Italian flavours, and uses the best, locally available produce. All dishes are freshly prepared off a menu designed by internationally renowned chef-patron, Shane Sauvage. La Pentola has everything from soups, salads, poultry and seafood within its food repertoire. Found near to the four- and five-star-rated, award-winning Leriba Hotel, this French-inspired restaurant is reminiscent of a European café, with hints of Provencal style to make it even more aesthetically appealing. Though based in Centurion, it falls onto all the best Pretoria restaurant lists. Along with its old-world charm, it serves up mouth-watering dishes with a menu, which revolves firmly around the seasons and simple, yet exciting flavours sure to awaken your taste buds. This family-run restaurant is not only good – but it’s also inspirational, particularly given how Gita Jivan found herself in Brooklyn, Pretoria with little more than a small suitcase and a big love of food. In time, however, Geet – which means “melodious poem” – was born. The menu is uniquely based on the Indian tradition of using natural, seasonal flavours, in addition to classic techniques and the freshest ingredients possible. Geet is a zesty, exciting culinary offering, sure to tantalise your palate, as you tuck into top Indian dishes. Dining dress code is smart casual. With several restaurants spread across Gauteng and KZN – all of which are equally popular, with sound reputations – Mo-Zam-Bik has built itself up into something of a South African restaurant icon. This relaxed, Silver Lakes-based family eatery provides guests with a choice of tasty, Afro-Porto dishes, such as quarter chicken with a Moz-dry peri-peri, steak prego, vegetable curry, awesome desserts and kiddies’ options to name but a few. 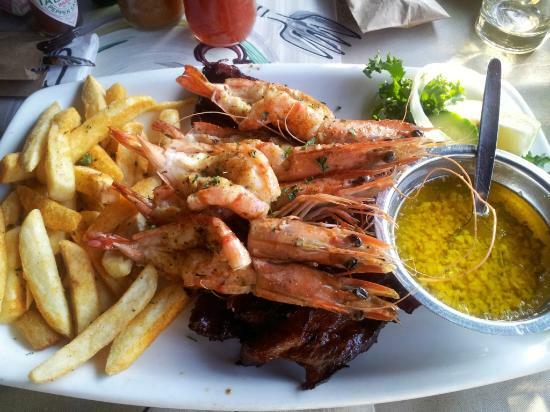 With several branches dotted about Gauteng, Crawdaddy’s is a good food and pub company, which specialises in great seafood, steaks and even Asian fusion food. It provides an exciting menu for its patrons. This popular eatery offers nice, yet unfussy interiors, which are quirky and fun, and makes for a relaxed and casually delightful, after-work restaurant or catch-up with those you love. Driven by the desire to make its guests feel like welcome friends, Hillside Tavern has enjoyed deserved customer popularity and dining success over the years. This restaurant and pub, established in 1989, has a long-standing reputation and trusted menu, which includes a range of juicy steaks and other meat-based dishes, as well as some nice wines. It’s rustic, yet elegant too, ensuring guests have a pleasant dining atmosphere to enjoy with their food. Unapologetically committed to fine food, De Kloof focusses on classic European dishes with local influences. This casual, yet lovely restaurant strives to bring diners a memorable eat-out experience, using its atmospheric setting and inspirational dishes. They also take their wines very seriously here so you might want to try a glass or two when you visit. Created by husband-wife team, Sidney and Anchen Cousins, Zest Bistro offers straightforward food that focuses on fresh produce. Featured eats include: delicious cakes, breakfasts, salads, chicken breast, grilled fillet of beef and more. This authentic Italian restaurant supplies contemporary Italian fare, artfully whipped up since 2012 by executive chef, Claudio Uccello. Think seafood soup, spaghetti with mussels, pizza and other hearty dishes! There are daily specials available on offer, and Fumo is available to diners for both lunch and dinner, seven days a week. Fumo also has its own exciting, new wine cellar! This bistro is big on burgers – in fact, it offers some of the biggest, quirkiest and tastiest burgers you’ll find anywhere. 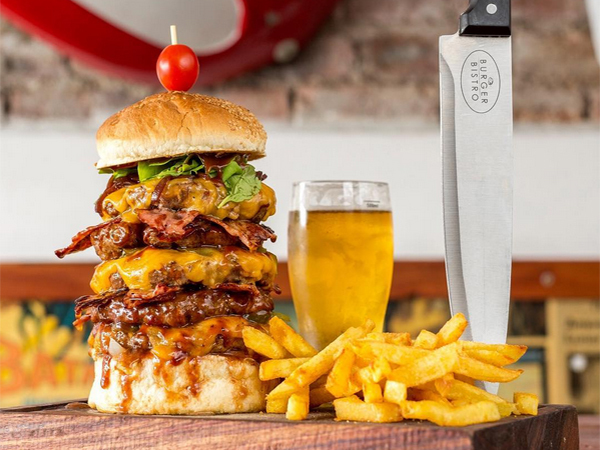 Created by two guys – Corne Read and Jan-Hendrik van Staden – who simply just love burgers, Burger Bistro uses fresh ingredients, homemade patties, killer milkshakes, hand-cut chips and good music to provide the necessary accompaniments to your monster burgers. With several SA branches, Burger Bistros are suitable for sit-down or takeaway meals. Try the fun High-5 Burger, which comes with: a 200g pure beef patty, cheddar, mozzarella, balsamic caramelised onions, chips, Coke/Coke Zero and a High-5 too! This restaurant specialises in quality food, served in conjunction with some of SA’s best craft beers. Dishing up generously sized meals, including burgers, meaty dishes and more, Capital Craft Beer Academy will provide diners with good food, even better craft beer and a friendly restaurant environment wrapped together in one neat package! This country restaurant offers hearty, country fare, served up in a soothing atmosphere designed to remove you from your busy, daily life and allow you to appreciate a slower, gentler pace. With fun, light-hearted décor, like pitch forks, a verandah and cosy, fireside dining options, Tin Roof Café provides its guests with a casual ambience and delicious food. 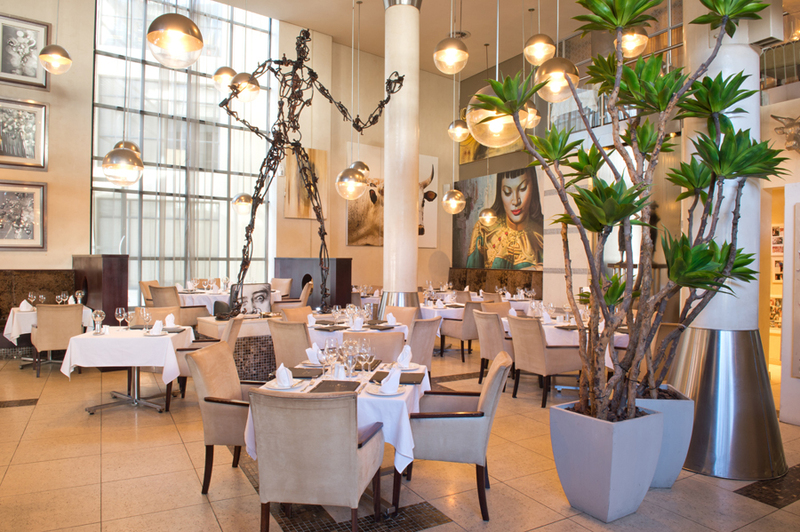 The Black Bamboo provides South Africans and tourists with a unique, world-class dining experience. Here, good food, wine and art are celebrated as a sensory whole. 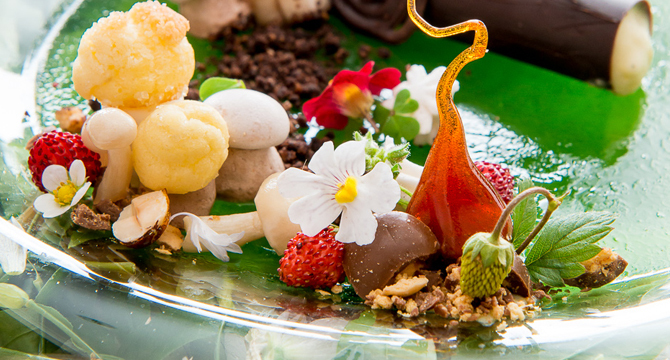 With hands-on head chef Pellie Grobler’s ever-changing, a la carte menu – inspired by global delicacies, yet bearing a local twist – and a carefully coordinated wine list, this hotel-based restaurant is worthy of all praise. Catering to the public – as well as to the Pretoria Country Club – this elegantly casual, yet trendy restaurant boasts two lounges, a bar, outside patio/dining area and of course, a main dining area inside too, leaving visitors spoilt for choice on where to sit and eat. It serves a variety of foods, ranging from international to contemporary, game, seafood and even grill-styled dishes, served up in a relaxed, casual setting, no matter where you choose to dine. Address: Blu Saffron Restaurant, 241 Sidney Street, Waterkloof, Pretoria, Gauteng. Offering a sophisticated bistro feel, Harissa Bistro provides a unique culinary experience. Serving a modern (mainly African-inspired) menu, Harissa Bistro, with its easy food and stylish décor, makes for a quiet, pleasant eating experience at The Club Centre. Service seems attentive, with even the manager frequently checking up on patrons. Toni’s Pizza takes food and customers seriously, and endeavours to supply glorious pizzas made from the love of good food and a passion for good service. Toni’s Pizza uses only the best, freshest ingredients, ensuring top quality, delicious wood-fired pizzas for your ultimate enjoyment. Opened three decades ago now, La Madeleine has changed location only, for the restaurant’s dedication to wonderful, classic French and Belgian dishes remains the same. The eatery – which is named after the shell-shaped Madeleine biscuit – invades the senses with the same pleasure, as its tasty little namesake, and offers good food at affordable prices, with a lovely dining atmosphere to boot. These are just a few of the best eateries to enjoy in (and around) prettiest Pretoria in 2017. Author LaurenPosted on August 14, 2017 Categories The best of South AfricaTags Crawdaddy's, Geet Indian Restaurant, Hemingway's Restaurant & Wine Cellar, Kream, La Pentola Pretoria, Pachas Restaurant, Pretoria, Pretoria restaurants, Restaurant Mosaic, The Black Bamboo Restaurant, Tin Roof CafeLeave a comment on Top 20 Pretoria Restaurants 2017.